Mumbai, March 19, 2019: Taj Safaris’ four lodges in India offer a decade of safari expertise, coupled with legendary Taj service – all while situated in the very best destinations from which to spot the royal Bengal Tiger. The latest addition to the Taj Safaris portfolio, Meghauli Serai is in Nepal’s Chitwan National Park, an area renowned for its protection of the one-horned Rhinoceros. 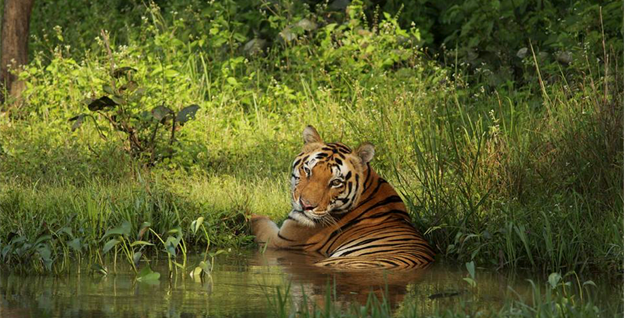 From Mahua Kothi in Bandhavgarh National Park, Baghvan in Pench National Park, Banjaar Tola in Kanha National Park and Pashan Garh in Panna National Park, each lodge allows guests to experience the unparalleled beauty of the jungle and spot the famous Bengal Tiger in their highest densities. Departing just after sunrise, guests can enjoy early morning jungle drives in specially designed 4×4 jeeps with Taj’s trained naturalists. Meghauli Serai is located in one of the best wildlife-viewing national parks in Asia, Chitwan National Park, a UNESCO World Heritage site and home to over 100 Bengal Tigers. Uncommonly, visitors are free to walk in Chitwan – allowing them to get even closer to the wilderness.